We did the top 25 business schools in India around 5 years back. It is time to update the list with latest rankings so that readers would get to know the most updated list. You can also compare the rankings which have changed over the years. Bookmark this page as we will keep on updating this page every year for benefit of our readers. The Indian School of Business (ISB) was founded in 2001 by two senior executives from McKinsey & Company. It is a private school. Even though it is the first business school in India to be accredited by the Association to Advance Collegiate Schools of Business (AACSB), ISB is not accredited by the Indian statutory body, the All India Council for Technical Education (AICTE) as it has chosen not to apply for the accreditation. ISB has been ranked 33rd in the world in the 2015 Financial Times Global MBA Rankings. Indian Institute of Management Ahmedabad has consistently been ranked as the number one management school in the country year after year in the last several years. In its latest ranking, The Economist has ranked IIMA at 56 among the top 100 international B-schools in the world that offer full-time MBA. The Financial Times (FT) has ranked the two-year post graduate programme in management (PGP) of IIMA in the top ten programmes in the category of Masters Programmes in Management that do not require work experience as pre-requisite for admission. FT reported that this was the first time that any Indian B-school was not only included in the survey but also achieved such high ranking. The Financial Times has also ranked the one-year post graduate programme in management for executives (PGPX) among the top MBA programmes globally. The two post graduate programme in management with a specialization in agri-sector (PGP-ABM) is ranked at number one among comparable programmes globally by Eduniversal. Over the years, IIMC has grown into a mature institution with global reputation, imparting high-quality management education. It has been playing a pioneering role in professionalizing Indian management through its Post Graduate and Doctoral level programs, Executive Training Programs, Research and Consulting Activities. IIM Bangalore (IIM-B) is the thrid IIM to be established after IIM-Ahmedabad and IIM-Calcutta (Now, Kolkata). It was founded in 1973. IIM Bangalore has the distinction of being situated in India’s Silicon Valley which is a notable advantage as compared to almost all the other IIMs. IIM-B offers Post Graduate programmes, Doctoral Programme/FPM as well an Executive education program. XLRI – Xavier School of Management is a leading management school based in Jamshedpur, Jharkhand, India. Established in 1949 as the Xavier Labor Relations Institute, XLRI is acknowledged as India’s oldest business management school. The Jesuit managed school’s main programs include a full-time 2-year post graduate program in Business Management, Personnel Management & Industrial Relations (re-christened as Human Resources Management in 2011) and Global MBA, 15 months full-time General Management program (PGDM-GM), doctoral fellow programs (FPM) and many executive education programs. The Indian Institute of Management of Lucknow was the fourth one to be established by the Government Of India back in 1984. It has a satellite campus in Noida for its executive programs, and is ranked among the top business schools in India. IIM-L is recognized as an “Institution of Excellence” by the Ministry of Human Resource Development, Government of India. Faculty of Management Studies (Commonly known as FMS Delhi), established in 1954 under the aegis of the University of Delhi, offers management education to the professional managers as part-time and full-time MBA programmes. It is one of the oldest business schools in India which started offering a Full-Time MBA programme. FMS is known for its academic programmes, training programmes, research, and consultancy, but its primary aim is long-term academic programme leading to a Degree Certification. In addition to all these programmes, FMS also regularly conducts Management Development Programmes. The Indian Institute of Management Indore (often abbreviated as IIM-I) is an autonomous public business school located in Indore, Madhya Pradesh. Instituted in 1996, IIM Indore is the sixth addition to the prestigious Indian Institute of Management (IIM) family of management schools. S.P. Jain Institute of Management and Research (SPJIMR) is a constituent of the Bharatiya Vidya Bhavan and is recognized as one of the premier business schools of India. The Institute grew rapidly in eminence from one of the three B-schools in Mumbai in 1981 to one of the top ten B-schools in the country by 1994-1995. Jamnalal Bajaj Institue of Management Studies (JBIMS) was established in 1965 by University of Mumbai in collaboration with the Graduate School of Business of Stanfor University. It is Mumbai University’s Department of Management Studies and has been named after the noted industrialist and philanthropist, Jamnalal Bajaj. Originally established in 1936 as the Dorabji Tata Graduate School of Social Work, TISS is regarded as India’s first school of social work. The institute originally offered post-graduate diploma in Social Work. However, over the years TISS has expanded its outlook considerably to offer courses in policy, planning, action strategies and human resource development. Currently, TISS has four campuses in Mumbai, Tuljapur, Hyderabad and Guwahati. The Indian Institute of Foreign Trade (IIFT) is an autonomous public business school established in 1963 by the Government of India to help professionalize the country’s foreign trade management and increase exports. Its flagship program is the Master of Business Administration inInternational Business (MBA-IB). It is the only institute among the top-10 business schools of India that offers this program. Apart from the MBA(IB) Course, IIFT provides various Management Development Programs, Executive Programs and Certificate Programs catering to the requirements of aspiring International Business executives and mid-career professionals alike. Management Development Institute (MDI) is one of the premier business schools in India. It was established in 1973 and is located in Gurgaon, a commercial hub near the Indian capital of New Delhi. Its second campus has come up near Murshidabad, West Bengal. National Institute of Industrial Engineering (NITIE) was established in 1936 as ‘National Institute of Training in Industrial Engineering’ by the Government of India. It is recognized as one of the 15 Centres of Excellenceby the Ministry of HRD, Government of India. NITIE is renowned as the top Indian school for operations and supply chain management. We update this list frequently, and make sure that the list is recent one. If you find something is wrong, please do get in touch with us. "Top 25 Business Schools In India ", 5 out of 5 based on 1 ratings. For all MBA aspirants, if you CAT is giving you stress, look to crack MAT instead. With good score you would surely find top B Schools in India. I scored 99. 67 percentile which helped me get admitted into Thapar School of Management. Currently, I am working at MRF as a marketing manager and I find it very satisfying. So, I would suggest you to work hard for your MAT exam and you will definitely get into a good B School. Thanks for posting such good list of top MBA Institutes of India.This post is great for sharing with our friends.Thanks once again. Why does this list of B-Schools not contain Department od Management Studies, Indian Institute of Science as one of the top ranked B-Schools? Went through your Website and found very much helpful. A kind request, please advice me top MBA College offering MBA in International Business in India other than IIFT, MDI,SIIB. Also sir, have applied for ISBR, Bangalore, would be highly obliged to know about its MBA in IB, its placements, reviews, etc. IMDR pune never advertises itself. it is one among the top 20 b schools in India when ROI is considered. also the curriculum is industry friendly and almost all activities on campus are student driven. placements are healthy too with over 90% of the 2013-15 students getting placements through campus. tuition fee here is just around 1.20 lacs ( total fee is rs.1.75 lacs per annum) while average placements for last year were 4.5 lacs. average package this year at IMDR has jumped to 5.64 lacs (as of december 2015). Thanks for this best list sharing.. Most of the Institutes listed here offer PGDM degree. What about names of Institutes offering MBA degree ? If one wants to pursue Ph.D. after PGDM it is very difficult as most of the State or Central Universities accept MBA degree and not PGDM. IIIT -Allahabad provides MBA degree. IIIT-A has world class pedagogy focusing on delivering Management Education with IT Excellence. IIIT-A enriches broader scope to career by offering MBA with Dual specialization. Does that mean IIM. Bangalore or ISB, Hyderabad are not there in 2015 top 10 list?? Its absolute B-school List.. Thanks to share this information..
Its absolute details.. Thanks to share this information..
Can anyone tell me how is ITS ghaziabad for a 2 year PGDM course. plzz do let me know with a prompt reply,will it be a good option for me. hello , is NIBM PUNE a good college? any information about the infrastructure and placements of the college? Hi Mangalmay is one of the top management college in greater noida, delhi ncr. We’ve a college name is aryainstitutejpr.com . WE’d like to take guidance of experts. THE PGPM SUBJECTS BEING PROVIDED ALONG WITH THE ABOVE PATTERN OF DUAL SPECIALIZATION. my daughter now in bcom final year& after bcom she wants mba in retail manegment but my financial possition is not good so suggest me the best & cheap b-school in india. sir,how much score wants to get a good B schools in CAT. Great article and overwiew for business starters. As a teacher for start-up businesses in germany i´d wish we had a similar overwiev (toplist) for business schools in Berlin. Keep on going ! Hi shrishti..even I got a call from isbr this year..
Could you please tell me what all you found about isbr Bangalore for mba? cn u tell me is new deli institute of management is good college for mba or not? hi, im interested in doing mba in HR.. n planning to do d CAT coaching classes too.. i want to get a seat in iim bangalore for week end classes is it good for me n i wanna know the approximate fees structure for mba in iim bangalore.. can any one help me in giving valuable informations for all my questions. plz..
Can anyone comment on IICT, Lucknow? could you please recommend me some good colleges…? hi my name is chirag ….recently i am pursuing BBA honours……….from vikram university .. ujjain m.p ………….i want to do MBA from good b school ………..and i am an average student ..i dont want the best college like IIM but i need good college . Hello sir I’m Rahul a BCA student of Magadh University Bodh gaya . My Specialization is on HR OR IT. I’m a little bit confused regarding my MBA. On which college may I go where I can get good faculties and as well as good placement. If you could give me any option then it is really helpful for me. Gyan Vihar University is offering MBA (E-Governance & ERP) the only one of its kind. It is also offering B.Com (Corporate Secretaryship), BBA (ACTUARY), BBA (BANKING), BBA (CAPITAL MARKETS) and many other career oriented programmes. It is the most innovative and career oriented university of the country. hi to all pls suggest me best institute fr doing mbaor pgdm in internatnal business..
please suggest me a college in NCR for distance MBA. is IIPM a good college for MBA.PLZ tel me?/ i have know idia about it.IIPM SHOW THAT ITS PLCMNT RAKING is 9th rank is it true or only fake?? I like to know about MITSOT. I get selected but little confuse should i take admission or not. Is there any other best college in pune can i get. I am from engineering background please give me suggestion for the admission or suggest any good colleges. @Subhanjan Chakraborty u can contact us , pls search youreduguide DOT com, our counselor help you to get admission in MBA colleges of your choice. Hello sir I’m Subhanjan a BBA student of Punjab Technical University. My Specialization is on Marketing. I’m a little bit confused regarding my MBA. On which college may I go where I can get good faculties and as well as good placement. If you could give me any option then it is really helpful for me. i am final year student of engg. college of c.s. branch my question is t’s the ranking of what’s the ranking of iipm should i take n addemision?????? please reply because i have n interview day after tommorow!!!!!!!! hey please comment on christ university @ ban'lore. Top University by mat, if you are getting admission in christ, you can take. what’s urs suggestions about ICFAI University in Hydrabad for Mba Courses. Are there any good MBA colleges in East India, other than IIM. Are there any seats reserved for NRIs? I thought all IIMs are on the top. They are difficult to get admission. Do you have the admission procedure and requirement too? Thanks. heyy can u tell me about IILM, NDIM, IPE , EMPI, IBS&M & ASIAN PACIFIC r this r good collage to join in any one of them. Since when IMDR started coming in top 25? Ahead of colleges like K J Somaiya, SIMSREE, NIASOM and other good colleges …. thing is, you don’t know about IMDR. it isn’t a bad college at all but has managed to carve a niche about itself in management education. the alumni base that IMDR has built since 1974-75 is unmatchable! It’s ROI is one of the best in India! can anyone recommend me which university above is gud in BA(HONS) ECONOMICS..thank you. HOW MUCH I HAVE TO SCORE IN CAT TO TAKE ADMISSION IN XLRI, JAMSHEDPUR. Is ITM top rated B-School? I went thru a PI Round at ITM Group of Institution at Matunga Centre days b4 yesterday and i got the offer letter 4r same……n yah i think dey have centres in vashi,kharghar and also few other places…. so dear cn u suggest me as per ur knwoledge? m planning 4r Executive MBA in Finance 4m der…..
and also what will be fees. is IIPM is best for MBA? Great list! however, i wish more points were covered, like the standard of curriculum, quality of faculty, etc. But this is a good start. hi Arun Prabhudesai , this information is very useful for me thank you. please tell me abt nirma institute of management and jaipuria institute of management. can some one comment on GEMS Business School – Bangalore? Can anyone tell me about JGI?"" Jain Group of Institutions"" In Bangalore? institute is good but its depends on your profile.. is it the perfect institute for you or not ? pls can anyone tell me where I can take easily admition in top b-school for mba my category is OBC pls rply its urjent sujjest me. I hope Alliance University, Bangalore has to be one among the above list. Can anyone comment on IIBS, Bangalore? please yaar koi ache b-school ke bare mei batuao…….. Admission in MBA/PGDM from top 10 ranking Institute providing 2 years management curriculum for working professionals with physical lectures and 100% placement assistance. Times Business school is contributing greatly in shaping up the career of individuals. Executivembainindia.com is our website where professionals with great expertise are always. ready to assist and guide you if you are in the hunt for any serious Executive MBA edification. For more information visit http://www.executivembainindia.com. best b schools in india. Indore Indira Business School all india rank & india top b-school…. i wanna pursue distance learning mba,pls suggest me one of the best institute….i really very confused…will a degree from sikkim manipal university be valuable..
Arrey bhaiya yeh ranking mein lochhe hain ! Either it is very old or it is created by a naive person. IIFT at 22 r u insane? And IIT D, IIT Kgp, IIT K nowhere in the picture ! and IMT so up? u gotta be kidding me !! any person please tell me some thing about top20 college…. I am searching a good college for doing mba(regular) in India , so give me full infomation about top colleges and its placements. This is my final year of B.Com and wanted to MBA . Which institutes are bset in delhi ? i was completed B.E frpm rajasthan university with E.C.E BRANCH in 2009 aug.
but i offered only RS. 400000 for that so plz, inform me for same. I am Doing Graduation Final Year along with GNIIT from NIIT, Can U sugess me what to do after this, what is more benifisial for me that i can start my Carrier. I am very thankful to you…. Funny rankings. Why do people come out with rankings when they do not have the minutest of idea about B-schools. Dont put all the private big”brands” like Symbi, IMT, IMI, BIM etc. ahead of a reputed institute like IIFT. i am a student of bsc itm of ravenshaw .i want to know about 20 top most colleges for mba in hr . so plz inform me about this .what r the selection procedures and how is their records in accademy and campus . what should i study for it ? Presently i am working as a software engineer. i want to know the best business school in india(if possible near hyderabad- AP).So that my job cant be distrubed. Hey people I need some urgent advice..i appeared 4 cat last year n wasn’t able 2 get a good percentile..not sure of this year too..i am thinking of not wasting this year and joining a private institute in Bangalore. Please can someone suggest some good private colleges in Bangalore for management which do not require CAT or MAT scores .Can you guys pleases help me decide what to do?? ur frnd is absoluetly right dat d number is inc day by day… bt dat dsnt mean dat u shud nt go fr it… coz if the no. of MBA students is rising thn it means evn d competition is rising… employers always prefer an MBA over a graduate… ya aftr sum work experience u cn go fr it if u dnt wana do it now…. bt in dis competitive world being just a graduate takes u nowhr..!! can anyone tell me….whether doing m.b.a from the top 25 colleges…if i get myself into it….would be beneficial for the future. whether i will be getting atleast a sober salary in job fields or nt..
am quite confused whether i should do m.b.a or not as my frends r suggesting me not to do as the number of m.b.a s rising day by day..
so plz give me sum suggestions regarding this. Hey I just completed my BBA and am located in Bangalore right now. My score is not all that great but decent. When is the last date of application for MVJ and what is the selection eligibility? Can you tell something more about this college? ?isnt this an engeeniering college?? I know a few people studying there….it’s a very good college as the placements are too good.. There are 150 companies visiting the campus every year..
I’m a B com graduate, and have been an average student.I have got admission in MVJ . I also have calls from M.S. Ramaiah Institute of Management,AIMS too. I’ve got +ive feed back about MVJ from my friends.And after surfing in the net i think i should go for it. Fees is also not as much as others.Please advise me as to what should i do? my graduate degree is nt indian recognized.. can u plz suggest me sum good MBA colleges in india whr i can apply as most of the colleges ask for indian recognised degree..!! I AM IN B.COM FINALYEAR AND I WANNA TO DO MBA FROM SOME OF THE BEST INSTITUTE .SO PLZ HELP ME TO FIND SOME GOOD INSTITUTES FOR ME TO DO MBA . KINDLY SEND UR RPLY TO ME SOON AS POSSIBLE from your side . m Binu n a have completed btech civil engg n m thinking 2 do MBA from some of d best b- school in south but d programme should be related 2 my field , plseeeee give me information about i.e choice of MBA related 2 my field. waiting for ur reply. m Binu n a have completed btech civil engg n m thinking 2 do MBA from some of d best b- school but d programme should be related 2 my field , plseeeee give me information about i.e choice of MBA related 2 my field. waiting for ur reply. I have put the website’s name on my name so that you can get it easily.. In that you will get all your information..
i wish to know about the exams to be taken for admission to f.m.s. , delhi university. The above information that you have shared regarding the top twenty five business schools in India is amazing. We are also providing a general list of all the MBA Colleges in Gujarat at gujaratmba dot com. thanks once again for the great info. The information which you have shared here regarding the MBA colleges that is amazing and its been much important . United world, a B-School of global stature in South East Asia formed by a group of economist, academicians and top executives spread across the world in MNC’s, has been developed as India’s first research based B-School focused on “Open Economy”. Each of our campuses at Unitedworld is managed by senior and globally networked academicians. please tell me the top 10 bscools in banglore,hyderabad and pune. please tell me the top business school in bhopal to get admission. I am engineer with 5 yrs experienc ein a reputed software co. I need to know relative Ranking of IMT, Nagpur, FMS (Fore) and Welingkar, Mumbai. Please help. i have been selected for isbr bangalore, which they call it as one of the top b schools in india. i just want to know that is it worth taking their admission, i have completed mechanical engg & planning to do mba. sir, i secure 22.56 in cat & 40.08 in xat. hello sir recently i completed BBA from sikkim manipal university in 2010, and my teacher is suggesting me to get experience first and after that u do MBA, im very confuse plz sugest me wat could i do? my brother has got 92-parsantile in CAT-2010 which college may be get replay plz. AND in MAT-2010 has got 99.80% mark he also selected Alliance Bangalore. by high fee we could not take admission. Tank u so much..Its really worth..But I wanna knw if doin MBA in a B-school is worth over doin it in an Engg college..pls help me out in dis…. Hello Sir, can you please tell about the PES Institute in Bangalore.Is it a good college for pursuing MBA? It is associated with IUP and will be given certificate from IUP. Is it true? MBA.i also take mba entrance exam like,CAT,MAT,&ALSO XAT,please inform me as soon as possible. WHERE IS AMU ENGINEERING COLLEGE IN YOUR TOP 100 LIST..
U CANT BE MORE SMARTER THAN MINISTRY WHO FOUND IN IT THE POTENTIAL TO BE AMONG THE IITIANS..
WHAT IS THE POSSIBLE THING ON WHICH YOU ARE RANKING THESE COLLEGES. I DOUBT THESE COLLEGES MIGHT BE PAYING SOME TRIBUTE FOR THAT..
1. Which institute I should select for doing an MBA? 2. Is it okay to do an MBA at 32 yrs stage of life? sir, i want to join for mba in indian institute of planning and management(delhi). i want more details about this b-school. how to join? and how much fee collect by institute? thanks this is the best list still so far i have seen . but i need some information about full time mba……………. Please give your feed back about ICFAI University’s 360* MBA Programme. Could Author spare some time to look into the comments? What is the criteria taken to decide ranking in MBA Programs? Who is deciding the ranking of MBA Programs ? What is the source of knowledge for this ranking ? Hey author ! could you give some what comparison chart based upon the criteria used to decide ranking. As this article give emphasis on the TOP 25 .. But No Particular ranking given Why? I AM WORRIED ABOUT THE FEES OF THE TOP MBA COLLEGES IN INDIA. BECAUSE I HAVE NOT COLLATERAL TO MAKE. CAN I STILL HOPE TO PURSUE MBA FROM ANY TOP MBA COLLEGES. IF YES THEN HOW CAN I GET LOAN. i want to pursue correspondence BBA . please guide me. if possible, i would like to have study centre aswell in delhi.Also are there any institutes which are covering BBA + MBA jointly. I am pursuing BBA IT from Symbiosis Pune. I want to know if I am eligible for taking the JMET exam or not? Does my graduation in BBA with Information Technology count as graduation in IT or I need to be Be or Btech degree holder necessarily? I also had Maths and Statistics in my course. thanks for providing this information for all the MBA aspirants. well i would like to know which are the top 10 b schools for persuing mba in retail mangement. i am currently preparing for cat’09. please let me know the scores required to get into these schools as well. NITIE Mumbai, VGSOM IIT kharagpur, Sydenham Inst. Of Mgmt (SIMSREE) Mumbai and DMS IIT Delhi will definitely make the cut. I am a finance and Accounts executive having 32 years relevent experience in the field of Fin and accounts.I am seeking admission from a reputed institute of india.Presently I am working with a world bank assisted proect at Bageshwar(Uttarakhand).Could you suggest me which institute will be viable me to do MBA Executive program for one year. wud wish to do MBA via distance edu..which is the best inst offering this course.i need a valid MBA degree after finishing the course.am based in manipal,karnataka.wud prefer a study centre though not compulsory.shortlisted IGNOU and SYMBIOSIS..heard symbiosis doesnt offer MBA but some PGDBA..PL suggest. symbi offers distance learning course in pgbm n wid my view itz d bst corrspondnc jz go 4 it.u cn vst ny axis bnk brch 4 itz form wich cost rs.900(inc prspcts).n fees for 2 yrs is rs.25000 payable by dd. AND ONE QUESTION PLEASE TELL ME SIR/MADAM I AM DOING B-COMiii FROM PUNJAB UNIVERSITY CHANDIGARH. AND I WANT MBA (FINANCE & ACCOUTING )TO DO. I, AM DOING ACCOUNTS WORKS ALSO. I would like to know on what basis did u rank IIFT at no.22 on ur list. Does letter of recommendation required for doing distance learning MBA in India? Can you please tell me which universities are asking this? This is sheriff from tamil nadu….I ve selected for dhruva college in hyderabad…I ve some some clarification…The college is offering PGDM not MBA..Is is safe to do a PGDM degree?…Can u give details and reputation of this college….They have given 3 days time to join…Can i join in this college?…Please suggest some idea…It will be very helpful in taking right decision. hiii trackin….first of all thanks a lot for giving best list for MBA’s schools.We are getting lot of info.through this. I am studying in final year B.Com.I am looking for Best MBA college for further studies.Please suggest me best MBA college as I do not have any work experience.So how can I apply for further? Hi its mahesh doing final year BTECH in andhrapradesh .i am very much intrested in doing MBA .SO can any one tell me details of top 50 B-SCHOOLS in our country and also the fees details .and some colleges are providing the part time jobs so please give the information ragarding that colleges. i am b-tech from bikaner rajasthan but my english leguage is poor.i got 98%tile in MAT so i want admission in mba college please advice me which mba colleges is good for admission. sir, i am looking for top 25 mba college in uttar pradesh, if u can get that plz post me in my id…. I have seen alot of advertisements about IIPM. I am currently Studying B com In SBMJC Bangalore and want to pursue my MBA. Is IIPM a good institute? And how would you rank Alliance Business Academy? PES institute of management? Amity In Bangalore? I WANT TO KNOW HOW WE CAN KNOW THAT ANY INSTITUTE IS RECONIZED OR NOT.EXAMPLE I AM LOOKING TO DO M.B.A FROM DELHI INSTITUE OF MANAGEMENT STUDIES(WWW.DIMS.IN) PLEASE GUIDE ME THIS INSTITUE IS GOOD FOR PRIVATE COMPANYS AS WELL AS FOR GOVERMENT JOBS. I WILL BE THANK FULL TO YOU FOR RESPONDING ONM Y E-MAIL. hi if r u want to any informaton about MBA it is the best site. Great job.Thanks a lot sir. I want to do my mba in any of the top20 colleges of the world abrode .kindly suggest me the details( such as Quaficatoin, Entrance tests ,fees and scholarships) for which I shall be ever greatfull to you. My niece has passed out her graduation and wishes to study management from any of the top 25 B schools. She is a mediocre student and hails from a lower middle class family. Please advise her best options. this in fact is a wonderful and a very helpful list. sir i am a graduate with 3.14 cgpa. i have not aqttempted gmat yet( as i am a foreign student) and i dont want to loose my year. so what options do i have to pursue my futher studsies in india. I have been selected for Rai business school bhopal for the mba program for july 2009 batch. It is Affiliated to EIILM university, Sikkim. therefore i want to know if it is a good school or not. I am thinking about pursuing my MBA from IIPM but i have heard some bad reviews about the institute in Mumbai which over promises and under delivers. id like to know something . Is IIPM really the 9 th best b school in India or is it just an Advertisement . id really appreciate it if someone could help me out here as im seriously thinking of trying out IIPm and would therefore really like to know if it is a good school or no. I am planning to do my mba from IBMR(Institute of business management and research)gurgaon.so i am really confused about this colleges.if any of a people have a have heard any negative or positive points about it do let me know. The six IIMs (Indian Institute of Management) are the most aspired for and reputed institutes in India, and so are the courses offered by another dozen or so leading schools. All of them have an excellent track record in offering high quality education, and students from these institutes get the pick of corporate and management jobs directly from campus. hi , this is bobby.i have done b.com graduation from andhra university.what is the process to get admission into good b-schools.plz let me know the details & plz inform the list of b-schools to my e-mail. i am a graduate in engineerig final year,i was intreasted in doing mba full time course, can u mention me the list of top 30 b-schools offering courses by admiting students through mangement quota ?? I have been selected by International School of Business and Research, Electronic City- Bangalore,for their two year MBA program. I would like to know if the College is good and where it stands in terms of placement and faculty. I have to decide a.s.a.p so I would really appreciate it if I got your help soon. my name is vipin narang n m doin bsc biotechnology from dehradun, i am very tensed about my career and i am willing to do MBA from a gud college, i got 40% in cat. plz help me how to get a gud college n recommend me some top private colleges. How good is the Alliance Business Academy? Any ideas please. I got selected for 2 years MBA with ICFAI Hyderabad. Could you please tell me where Icfai stands in terms of faculty, administration and placement? I’ve to decided asap so your help is badly required. Thanks. I am planning to go for 3 yrs flagship MBA (PG Diploma) program in one of these institute through distance education. When I did little research, found both of them good. Now question is where to join? I alrady hold Master degree from Indian Institute of Technology. Could you please tell me the list of BEST B-schools which are providing operation management in specialization? I want to do my MBA in Operation Management, so pls help me. PLZ tell me is that good to do corresponding mba from sikkim manipal university with Job & what is the scope after getting the degree in H.R. & RETAIL..
Its really useful information for all the MBA aspirants. Anybody can tell me the top B-schools in mumbai and pune for MBA Marketing in terms of quality of study, knowledge and placement. U can mail me on [email protected]. Thanks for ur generous help. I m having total work exp. of 12mths and i m intrested in further studies with my job. So pls suggest me Top 5 Management Institutes from which i can do PGDBA i.e correspondence MBA and also which Institute provides Placements at the end of the course. Will B waiting for your reply. i am confused.i hv done my hotel management ,and then i thought to do mba from an esteeme insitute..i hv gt 73% in MAT which was held in may2008…,,then i tried for CAT,XAT,SNAP, and IBSAT….the trio cat, snap and xat did’nt got clear but ibsat got cleared…but the thing s fee structure of the colleges under IBSAT….i m searching for a good college in delhiwith a good repo….and if it should be under AICTE,then it will be very good for me……. ur list is really useful for all those who want to know about top MBA schools in India… but i’m afraid yu have not included prime institutions like Welingkar, Mumbai, K.J. somaiya, Mumbai, and IFMR chennai. i have got a gd/pi call from alliance business school(bangalore) and ICFAI. Due to some reasons i will only be able to attend only one of these. Could you please suggest me the better option out of the two? i m a fresher. i have a job but i am not sure abt joining.i have given snap and nmat and i might get a cllg frm snap.what do u suggest should i go for any cllgs or shd go fr job and try after a job experiance. Hello Sir, i have just done my graduation,and my graduation percentage is less than 40. But i want to do mba from a average b-school also it should be approved by aicte.Please help me sir.I can’t make a choice. thank u. Do u have any idea how is MBA in IMT dubai and ISB&M-pune?????? I am a final year student pursuing B.tech(regular). I’ll be appearing for Cat n other exams…Could you pls tell me the various certification courses in finance,marketing or management dat could be a value addition and also add to my resume. i am a stubent of pharmacy and interested in doing mba from HR what are list of top 50 colleges with an avg placement of rs 5 lacs p.a. Kindly send me a list of the best institutes offering distant learning programmes on MBA for top executives in the corporate. Thank you so much for providing a comprehensive list of top 25 Management Institutes. I worked for Govt of India(CISF,MHA) for 13 years after clearing Civil Services Examination and after resignation, I joined a corporate house as President. I wish to do MBA through distant learning or one year regular programme for top executives from a good institute but I don’t have time to prepare and write CAT/GMAT or any other similar entrance test. Will you kindly help me with the details of such institutes who offer courses suiting my requirements. Indeed a great list of TOP B-Schools in India. This proved very helpful to me as i got all the links to these institutions at one place or else it would be a tiring work for me to find for every one. Im appearing for MAT/AIMA. I ve done B.E., i want to know which are top institute accept MAT score.Institute must ve good placement.Also plz suggest conversion rate of MAT score to CET score. I am an Engg. student adn am to appear for CAT 2008. I have not been scoring too well in the mock CATs and am curious to know what percentile (approx) would/could be considered sufficient enough for admission into IMI and FMS. Actually i am an project engineer working in Reliance for past 8 months and having an experience of project for 2 years. I wanted to do complete my part time MBA in opeartions and specialize in projects. Can u plz suggest me top business schools in Mumbai. I don’t have 50% in Graduation.Tell me the name of Some good B-Schools which comes under the MAT. myself neelesh meena i have done my bca in distance learning and currently i am doing job in banking sector now i want to do mba in distance learning,can you help me that which college is best for me for mba.also i have an experience 3 years of sales of financial products like home loan, loan against property and equity loan.now i need your help plz do guide me. The list of top MBA Colleges is impressive. I congratulate the respective colleges for getting in there. However, what the education industry as well as corporates should realize is that do the colleges actually deliver the value or is it more of brand hype. Is the quality of content, mode of delivery, etc. taken into account while deciding these positions? Newer and more student-friendly courses are now available in lesser known MBA institutes, and user-friendly management education is being imparted by portals like http://www.easygyan.com , a portal that promotes correspondence courses in management. Lets not be biased by size in the game of David Vs Goliath. i have got 48.5% in my graduation[B.Com(Hons.in Accounting and Finance)]under Calcutta University and 85.23percentile in MAT with 654.5 as composite score.i am also doing Cost and Management Accounting.can you suggest me which MBA institution or university will be best as well as cheap, i want to do a dual course so which alternative will be the best for me Marketing and Finance or Marketing and H.R. I am doing part time MBA in International Business from ICFAI, Mumbai. I am working for 1 reputed MNC. Pls tell me how much is the worth of degree from ICFAI? Where ICFAI stands, as far as Part time MBA is concern ??? i have got 53% in my gaduation and 93.85 percentile in MAT with score of 699.5. i don’t have enough money to spent on my education. can you suggest me whos the best (cheap and best) university or institute to do MBA in finance. and also want to know how i can get education loan, which bank will provide this. i hav got 49.4% in my graduation . I am a workingÂ engineer with 14 yrs experiance. I want to do my MBA by part time/ distant education mode. I am based at Mysore. Please tell me the prospects of doing my MBA from ICFAI. What is their position in ranking of B schools, placements and acceptance by industry. Please guide me soon since the last date for joining the course is 25th Sept.
Â Hello,i m currently in third year Engineering – Electronics & Telecommunication From Mumbai University. I wanted to know the institues offering courses related to Telecomm Management for me after the completion of my B.E. It would be very kind of you if you could mail me the procedure for admissionÂ . Hope to receive a reply from you very soon. i am engg student stdyin in 7th semester…as i am preparing for mine future courses like in MBA ….just i waana knw which field will be best in mine MBA and wat is possible eligibility and criteria for tat particular field….Â Â Â Â Â Â Â Â Â Â Â Â Â Â Â Â Â Â Â Â Â could u list me out some good , reputed business school or college…for mine management corse…. Â Â Â Â Â Â Â Â Â I’m a fresh MBA graduate with Finance and HR specialisations. I would like to concentrate more on finance….butÂ I dont know, which are the jobÂ posts, forÂ which I can apply………I also would like to know more about scope of various jobs relating to finance and financial services….. I ve completed my MBA ( Marketing) from B-grade Institute. I would like to do dual specialization from MBA (IT). kindly provide me the best business school who provide dual specializatiom. thank u.ur information is usefulÂ .I’mÂ doing BBA final.i wish to do marketing. so i need information related to the schools which r specialised in marketing. I am a software engineer with 1 year exprience in bangalore and i want do MBA during week end . which are the best collages that offer this program. i m computer graduate(bca).i wnt to know about those colleges that provides mba in information technology.plz list out some names of good institutes.plz reply as soon as possible.thanks. Â Â Â Â Â Â Â Â Â Â Â Â Â Â Â Â Â Â Â Â Â Â Â Â Â Â Â Â Â Â Â Iam getting surprise by taking a look at FMS questions!!! There areÂ few questions based on derivatives in aptitude part. But since now no a single question had been asked regarding calculus in MBA entrance exams, but in this entrance sth lies different. Plz help me……. I an interested in doing distance learning MBA form any top B school.I have 1.6 years of experience.What is the procedure to take the admission in executive MBA distance learning course or any course which will add value to my resume. would appreciate if you can help on this. how do u do make a comparison between IIM/XLRI et. al. and ISB. Your list puts ISB behind many of those IIMs etc., but note that Financial Times puts ISB in their top 20 list, whereas your coveted IIMs/XLRI etc. don’t even make to top 50. Dude, the focus is different. Your IIMs/XLRI etc. mostly evaluate your number crunching skills, and basic smartness. But the focus of ISB and other such schools is different. So whats the scale that you are judging them on? Im working for an Ad Agency in Bangalore. Its a very good information, if you could send me the list of Management colleges which are all offering Retail Management Course, that would be great. I am a working executive and would like to pursue MBA through week-day or week-end mode.Â Institute of Management and Technology (IMT) Ghaziabad has advertised for 3 year Post Graduate Programme in Management (week-end mode), Pondicherry University has advertised for MBA (week-day mode), ICFAI Bangalore has also advertised for Executive MBA through week-end mode.Â Which among these Institutions is best to pursue MBA or PGP, or are there any other Institutions, which you think is best to pursue.Â Further, how is Post Graduate Programme in Management good or equal to an MBA. An early reply in this regard will be most appreciated. I am Kishore, firstly I thank you all for helping students to shape their careers. I am a Btech graduate from Computer Science & engineering stream passed out in 2007 with second class marks. Presently, I am working as a Technical support executive in a BPO and I am much interested to pursue management studies. I kindly request you to please help me in choosing a right course according to my graduation subject and also a good institute(preferably in Banglore,Hyd etc.,) to pursue post graduation. I am a MBBS graduate with a PGDMCH from IGNOU andÂ M Phil in Health Systems and Hospital Management. I am interested to pursue anÂ off campusÂ Phd Programme in Delhi. Could you please inform me about any such programme where i could get admission without any entrance exam etc.? Kindly e-mail. i want to know whether there is any course in b schools for bureaucrats . i really thankful to u because long time away i want to know about the b-schools rank but can,t success to know there position in right way today i am very happy to know about the top 25 b-school now i get addmission in top college in india and abord. i have go through the list of top 25 b schools ,its very helpful for us.I have done my B.Tech.so kindly suggest me which institute wud b a gud option 4 me ?? may i get admit in IMT ghaziabad? and tell me abt the different courses like HR,FINANCE etc & hw to admit n fee also ………..
i have go through the list of top 25 b schools ,its very helpful for us.I m persuing B.sc.final year from punjab university so kindly suggest me which institute wud b a gud option 4 me ?? tell me abt the different courses like HR,FINANCE etc & hw to admit n fee also â€¦â€¦â€¦..
thank for the informnati0n regarding the top management schools in india,,but still i desire to do mba from sysbosis university, so would you plesse kindly furnish the details to get the addmission into that and moreover i am a working personÂ with theÂ gorvernment sector so wouldÂ you Â please arrange the information so that Â i can join for parttime mba and which should also cost me less. thanx for such kind of information it’ll help a lot to know about business schools…m currently pursuing my B-tech(final yr) will u plz tell me abt d mgmt quota of symbiosis pune???? complete detail of fee structure n how to applied for??? i m divya working as faculty in amity business school. it is very good that you are helping students so that they can get the best knowledge to shape their career. Could you Please tell me the list of BEST B-schools offering Distance learning MBA Programs. i want to do MBA along with my job . i have completed my B.TECH last year and sice then working as engg. in Reliance infocomm . I am a govt. employee working in DRDO. I want to do a full time MBA, but I secured very less percentage in my graduation and Post graduation. Can anybody help me out to find a gud business school which dont ask for graduation percentile and is there any B’school which asks for post graduate degree. Plz give me detail if anybody have information about this. I will be highly obliged. Dear friends, I have completed my degree Bachelor of Business Management(BBM), thru distance learning programme of Bharathiar University, Coimbatore. Now I would like to take MBA in a regular college(full-time). Iâ€™ve secured 60% marks for BBM. Plz send me the details regarding, at which college do I get an opportunity to study the MBA(Full-time)in any where in India. The college should also possess good placement cell. Dear friends, I have completed my degree Bachelor of Business Management(BBM), thru distance learning programme of Bharathiar University, Coimbatore. Now I would like to take MBA in a regular college(full-time). I’ve secured 60% marks for BBM. Plz send me the details regarding, at which college do I get an opportunity to study the MBA(Full-time)in any where in India. The college should also possess good placement cell. how do u all rate ISBR, Bangalore? i m a student of B.Tech(electronics and communication), final year.can i get list of top 5 institutes offering mba in telecom management. and whats the scope of telecom management? how do u rate ICTM,pune for telecom management? plz give information as soon as possible.. I am an engineering graduate in Electronics with 2 years of work Experience. I am interested in persuing education in MBA i.e. for Executive MBA. I found one institute suits my requirement i.e. Indian Institute of Commerce & Trade which providesEMBA with 3 years of Work Experience. Want to know more about this institute. Is this institute is well recognised? I heard that it is not NAAC certified or by UEC. Kindly help me out in taking decision about this university? My name is kiran. Presently i am working as a software engineer. I am presently pursuing my mba from a reputred institute.I would like to say that the infomation was very good and the most correct one as even i faced difficulty in finding out the correct list of top B-school. Everyone of us wants to do MBA.. just bocause of the fact it can help us to get sky rocketing salary package … but no one thinks why an organisation ll give lacs of rupees to us , we have to give an earning of crore to organisation only then it ll pay us lacs and for this we must be very choosy regarding our mba institute , as mba is a finishing education not only education program its an skill enhancing program.. so please join dat institute which ll inculcate all necessory skills in u dat ll help u to grow in future not only in just getting a good salary package after completion of course. after my graduation i want to do mba course.kindly suggst me which programme is best like -marketing or finance.specially for girls. good evening sir,i am a student of final semester btech and want to pursuing MBA from a good institute/university. please tell me about the date of filling application form or resistration.please tell me soon. i am in waiting. i am 2nd year science(bio. )student.please full detal. THE INFORMATION GIVEN BY YOU IS EXCELLANT. THIS WILL CERTAINLY BE HELPFULL TO ASPIRANTS OF M B A . LET ME KNOW WHETHER THERE IS ANY MBA COURSE IN STOCK MARKETS OR ANY DEGREE OR DIPLOMA IN THE RELEVANT FIELD. FROM WHERE DO I GET THE TEACHING IN THE STOCK MARKET FIELD. Hi, i am amit the B-school listings was very helpful for me, but will you please guide me that what are the things that will be helpful to me for the preperation for CAT. you have to first hard work in 20 hours.then you will be complete exam. I AM FORTY FIVE YEARS OF AGE AND WORKING AS ASSISTANAT MANAGER IN ANDHRA BANK. I COMPLETED MY M COM., MBA. CAIIB AND B.L. AND PASSED I YEAR M L IN CRIMINOLOGY AND YET TO PASS 2ND YEAR M L FROM UNIVERSITY OF MADRAS, CHENNAI. RECENTLY I PASSED ICFAI BUISNESS SCHOOL APTITUDE TEST (IBSAT 2007) AND I WAS CALLED FOR A SCREENING TEST AT HYDERABAD ON 17.02.2008.. IF ANY BODY WISHES TO SUGGEST AND EXPLAIN THE PROSPECTS AND FUTURE OPPORTUNITIES OF THE MBA OR EXECUTIVE MBA OF IBS I WILL BE HIGHLY GRATEFUL TO YOU. I am pursuing my PhD in Physics (age 28) as a full time govt scholar (in Calcutta). Since after this I do not want to become a lecturer or faculty, after considering everything I want to shift to banking. I am ready to do an online MBA (banking or related) from a good institution where the course duration has to be limited to 1+1/2 yrs. How do I make the best out of my age and background? This list is probabaly the right one, but i would like to get a list of the top 25 insititues in India which offer M.B.A or PGDBM through correspondance studies. i would lik to do mba in distance, can anyone suggest good instution. I havent heard in last many years of someone leaving IIFT New Delhi to join SCMHRD or SIBM ..i wonder how can u put IIFT at 22nd position wneh there are surveys putting it in top 10!!!!!!!!!!!!!!!!!!!!!!!!!!!!!!! Hi Can you please help me to find 3 months short term management course in chennai? First of all, Wish U All a Very Happy and a prosperous New Year!!!! You Really done a great work, this list will spread a light to everyone who have desire to join in B school. I would like to konw that what are the criterias used to rate this institute? I m working as a technical support agent in a MNC (fortune 400 company),I wud like to know whether ths job will be counted as work experience in all B-Schools or not? I am working as a process trainer in a BPO. could you please suggest me few good bussiness school which offer distence learning. I am a diploma holder with 5 years of work in Multi National companyâ€™s.I would like to do MBA Marketing / International business through distance education.pls let me know some good universities which is applicable for my eligibility. I am a diploma holder with 5 years of work in Multi National company’s.I would like to do MBA Marketing / International business through distance education.pls let me know some good universities which is applicable for my eligibility. You should join and post here!!!! the list i went through was very good and as per my expectationsâ€¦.. I am mrunal gurav. I had finished my 10+2+diploma(3Yrs). I have a work experience of 4 Yrs in IT. I would like to MBA Distance learning from ICFAI. WHY I AM CHOOSING ICFAI Bcos This is the only institute which give eligibality criteria for 10+2+diploma students. I wanted to know will it be good If I take a admission in this interview. are their any institute which are good and giving eligibality criteria for [email protected]+diploma holders. LIST TOP 50 INSTITUTES OF M.B.A. INDIA PROVIDING BETTER SALARY IN THE FIELD OF INFORMATION TECHNOLOGY AND BANKING. Respected sir, I have successfully completed MBA securing 8.02 CGPA . As I would like to take up retailing as my career sector. I would like to confirm whether The Post graduation in Retail management (part time) adds up to my knowledge and resume ? LONG DISTANCE LERNING COURSE. IS IT POSSIBLE FOR ME TO DO BOTH HOLDING 40% MARKS. PLESE GIVE YOUR ADVISE AND INSTITUTION BEST IN INDIA ALL DETAILS. can u please give me all the 1-year pg courses of all the top 25 B-schools and the admission procedure and the eligibility and also the fee particulars. as of current atmosphere this site is best resolution for MBA Student. the list i went through was very good and as per my expectations…..
which is a better option as per placement(mba in marketing..
plz tell me some of the colleges offering (2years full time)course in retail managment in mumbai & pune. Can any buddy help me: does PGDBA equal to MBA. If no then why most of the High Rated institutes issues PGDBA certificates. Iam doing my PGDBA from Symbiosis, is it worth doing it ??? This site is really doin a gud job. It helps a lot many M.B.A aspirants.I am doing Biotech&i aspire to do M.B.A in this field only do any of the institute in India provide such course if so please intimate the list of institutes & information about them . this would really help me in doing my P.G after my graduation . iwill be really thankfull to u.
I am a working professional and I want to do a MBA through distance learning programm can you tell me which institutes are giveing good quality of distance learning cources in MBA (finance or Accounts). Everyone gives information about only regular mba courses. Most of the information is known to the common people. however, the information available on the correspondence mba is very little. the list of top ranking b-schools offering distance eduction will be more useful. please furnish the same. rama krishna bhukya, hyderabad bhavan, railnilayam, sec-bad. Hi all.I want to study MBA and i have work exp of 2 years.I want to go for full time MBA.i want to know while appearing for campus in the b-school do they strictly ask for career percentage.As i donot have good percentage in my +2. can i get the complete details of no.of seats offered by the institutes. I need a list of top Management institutes/Business Schools in New Delhi only. Can you please provide that? I had requested on the 8th of October as well, with regard to the best institutes for undergoing an executive MDP off-campus or few days on campus and the rest by coprrespondence or e-learning. I've been running my own businesses for 9 years now and feel the need to upgrade my knowledge and awareness with regard to management! Looks like a prejudiced list to me..Quite a few important names missing, and I wonder how institutes like BIM got over to the top 25..
Could you enlighten me on the parameters you took for study?? Sir, My friend is in his last year in BMS he wants further specialize in Logistics material supply or any other related with this, he is interested in MBA. Kindly guide, as to where in Mumbai or around he can do this. I’d like to know about all the off-campus (maybe with a few days on campus) mdps on general management conducted in India; with the duration , costing and feedback or rankings? Want to know about some more top mba colleges in delhi. hi im ranjeet sharma ,working in ICFAI UNIVERSITY ,DELHI.For ur kind information to all of u that this university providing distance learning program in MBA/MCA/PG Diploma in various subjects/master degree in verious sectors.therefor if anybody need to do this correspondence course from this university then plz contact me. i need to seek a clarification. I’ve done my MBA ( 06 ) and currenlty working in MNC as Exe – HR but am looking to elevate more my skills and knowledge through some managerial courses related to HR. Can you please provide me some colleges / institutions which are providing high end teaching? I agree with your list of top 14 institutes. But I believe NITIE Mumbai and SIMSREE Mumbai should also figure in the list of top 25 b-schools in India. Hi, my brother has done his BBM and currently working with one of the MNC. he want to pursue parttime MBA. Could you plz suggest me some of the institutes. capacity to spend for education per year is less than 50,000. I m an average student, currently working as marketing mgr with one of the telecom company. I want to pursue parttime MBA. Could you plz suggest me. Plus now a days institutes are offering diplomaâ€™s. Also suggest which nis better degree or diploma? NITIE Mumbai, VGSOM IIT kharag., DMS IIT Delhi and Sydenham Insti. Of Mgmt. Mumbai are conspicuously absent from the list. These respected brands are widely believed to deserve places in top 25.
any of these top business school gives a management degree online? Please also make a list of top schools offering BBA. Currently I m working for Prudential UK based Insurance company and prior to this i was in ICICI Bank Ltd in front office. I m having total work exp. of 30 mths and i m intrested in further studies with my job. How do you rate Alliance business academy, Bangalore? I am working with an IT firm for last 2 years.But i waqnt to make my career in Advertisement. Can you tell me which are the other goo Institutes school besides MICA in Public advertising and public relations/art. The list of best B schools from our B schools is motivating. i want to know about the institutes which are offering courses in Telecom Management either distance learning programs or part-time program in delhi-NCR region . Please provide the details of fee-structure of each institutes & evaluevate which institute is best in its ranking with respect to placement and demand . I m an average student, currently working as Training mgr with one of the MNC Bank. I want to pursue parttime MBA. Could you plz suggest me. Plus now a days institutes are offering diploma’s. Also suggest which nis better degree or diploma? i am pursuing m.b.a from international school of business and research (i.s.b.r) bangalore in electronic city.,which is recognized by sikkim manipal university. can i get a good job after completion of course! Is it good college. I would like to know if ICFAI is also one among the best business schools in India, and whether I can enrole with the ICFAI for its distance education MBA programme. iipm is fooling people with its ads…its degree has no recognised value… its one of the doomed insti…. Please let me know top 20 distance learning management institutes. I am a employed person and i want to doing an MBA courses through corrospondense. I am a employed person and i want to doing an MBA courses through corospondense. IIT bombay at 12th; LIBA and IMDR in your top 25 is befuddling me. where is NIRMA in the list……..it must be in top 20. IMI at 19th is also doubtful…. Can i get list of Top 20 Distance learning Institute’s in India. i’m very much intrested in pursuing post Graguation in Sociology or MSW. Though my Graduation is BA in Industrial relations /Economicis/ Sociology. Post Graduation MBA in HR. what advantage ll i get if i do post graduate programme in retail management which is of 1 year duration only and not approved by aicte.what is the expected salary after the course if i am selected in a company like pantaloon,reliance fresh or pyramid retail?ll it be a managerial job? how is it different from mba (retail) or retail mgmt of 2 years duration? Sir i want to get admissin in MBA programmes through distance learning mode. kindly suggest me the best option praticularly about that institute which is having its study centre in lucknow. the admissions date is already expired in many of the institutes. indeed this piece of information is really required but can you also let me know the best institutes for working professionals which provides MBA or certificate course of 6 months or so in particular field like Technology management or Insurance etc. I will be grateful to you if u can list down those. I have 2 and 1/2 years eps. in call center / want to do M.B.A. in finance from ICFAI or NARSEE MONJEE or IICT LUCKNOW / plz suggest that for whicn institute i should go…. INFORMATION IS RELEVENT BUT MORE EMPHASIS IS GIVEN ON TOP TEN B-SCHOOLS ONLY AND NOT B+ GRADE SCHOOLS. PLS MENTION THAT ALSO. i want to know about top b schools in india. and how to prepare for the cat foe get admission in top institutes. I’m pursuing MBA in Operatins via correspondence from ICFAI. Hyd. Kindly suggest what value will it hold for me in the future? Shall I switch to change it & do it from IIM Ahmedabad or continuing from here will give me equivalent returns? Please let me know that which Management insititute of Kerla and Tamilnadu is organising Management Development Program in the month of Nov.2007 on Corporate Communication or Public Relations. Gr8 Info…Could you Please tell me the list of BEST B-schools offering Distance learning MBA Programs. The information tat was provided was mindblowing and very useful.Thank u.
thanx for the info..please write the tests to be taken for these schools also..!! hiii this is rajesh from hyderabad.. hey r u going to write cat this year.. .
you also write how to get through these colleges..
Hello sir, recently i completed my bbs from Nepal commerce campus kathmandu, nepal in 2008 and my problem is that i have not able to invest to much money in mba but i want to study mba in good institute in minimum cost just as 400,000 neplese rupees only. so that you please kindly suggest me about good institute in india for mba, im verry confuseed about it. please reply me imidetly on my email id. thanks for the information.but i need some more information regarding the best b schools providing retail management course in india and where do K.J.SOMAIYA instiutte of management studies and research of mumbai stands in this list.plz help me by providing the information as soon as possible.in urgent need. i believe this is a great list cos normally lot of magazines and other circulars come out with a list of colleges which cannot even be termed as good colleges.thankand can you help me to find out a top b-school which offers specialisation in investment banking.i know about nmims which offers prog. in capital markets but is there any other course.regards. Thanks Mesmerized. That was the whole point of putting it together. I’m glad it is useful..
Hi Prabhu. This is a comprehensive list of B-School. Firstly I would request you to publish my comment so that you show your blog believes in giving voice to its readers. You have done a good job. However there is no methodology in terms of selection of a B-school in your post. 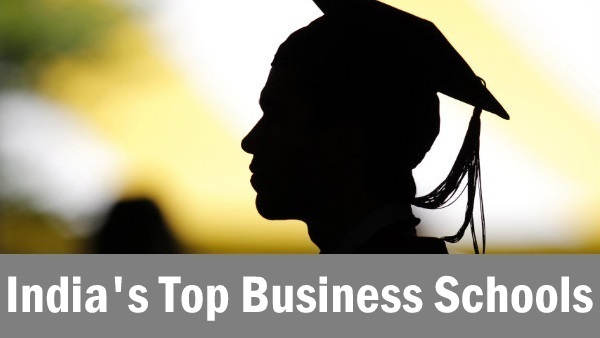 There are many other B-schools that deserve to be in this list. I personally feel you have no idea of B-schools in the North. I understand this is a list and not ranking but you must include references for your top 25 B-schools in India. Like any other magazine, blog like Pagalguy or research companies you should have a transparent criteria of selection and evaluation of a B-school on certain parameters. I understand that will be too much in terms of writing a blog post but would be more credible.